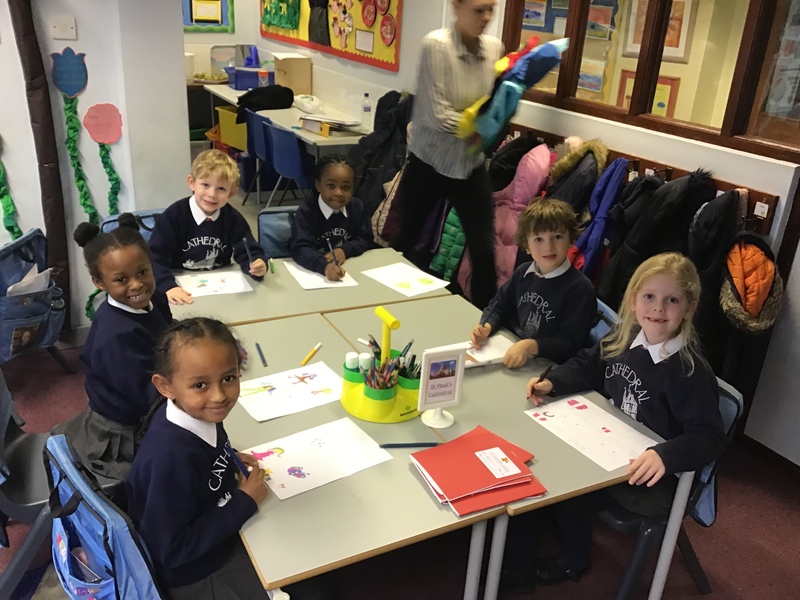 This week in RE, class 1 learned about the Creation Story. 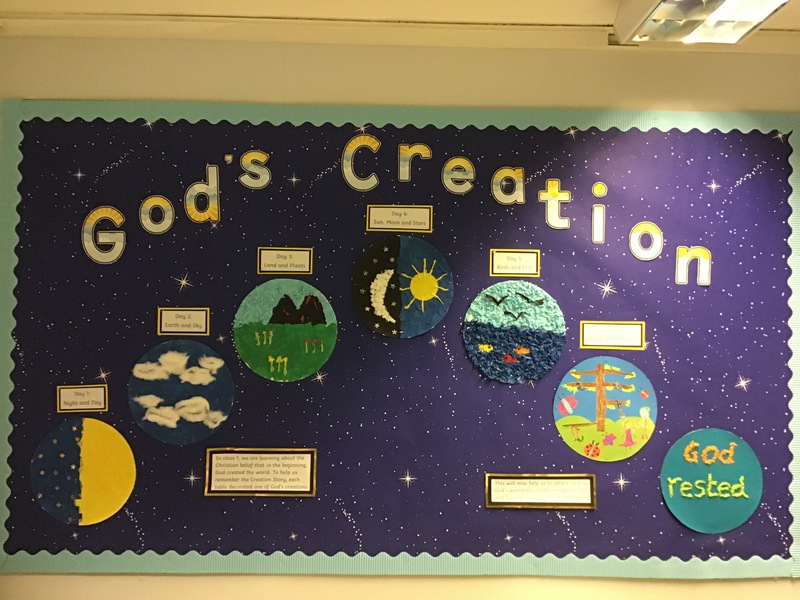 Each group decorated one of God’s creation which we then put together on our ‘God’s Creation’ display. We also reflected on how God’s wonderful world makes us feel. 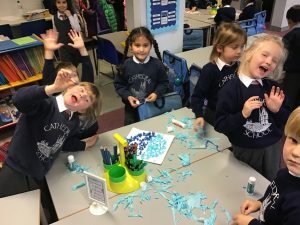 Well done to Scarlet and Noella who worked hard on their display work and gave thoughtful reflections on their favourite parts of our world.